The W.i.P. Wednesday link-up is officially cancelled until January, but I need the motivation of posting - plenty still to do in the next few weeks! Patchwork Pincushion - A friend of mine asked if I'd make her several pincushions to give as gifts. She doesn't need them until spring, but I decided to make her a 'sample'. I'll be posting more about this quick little finish soon. Red and black table runner - still piecing, but coming along! 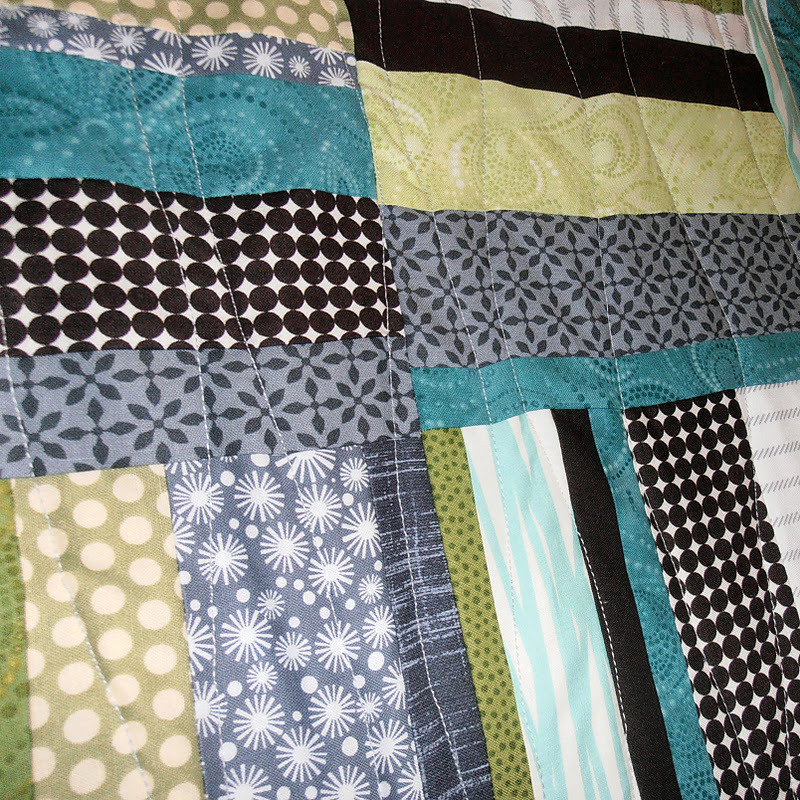 Wrenly hst quilt is finally basted! * Pattern for Mango - really want to do this, but . . .
Yikes! Things are a tad overwhelming in the sewing room! Deep breaths, Debbie! Your pincushion is cute! Looks like you've made a lot of progress this week. I'm sure you'll get everything done that you need! Wait, wait - Snippets of Sweetness is your daughter? How did I miss that? I love her Blueberry Pie! I love your little pincushion and the tree skirt is lovely! I think you have so many wonderful projects on the go! What a pretty pin cushion, and I love your sneak peak of your Christmas Tree skirt, so pretty! I did a WIP, too just to keep track of everything. You've got so much going on! Happy sewing! Hi Debbie. 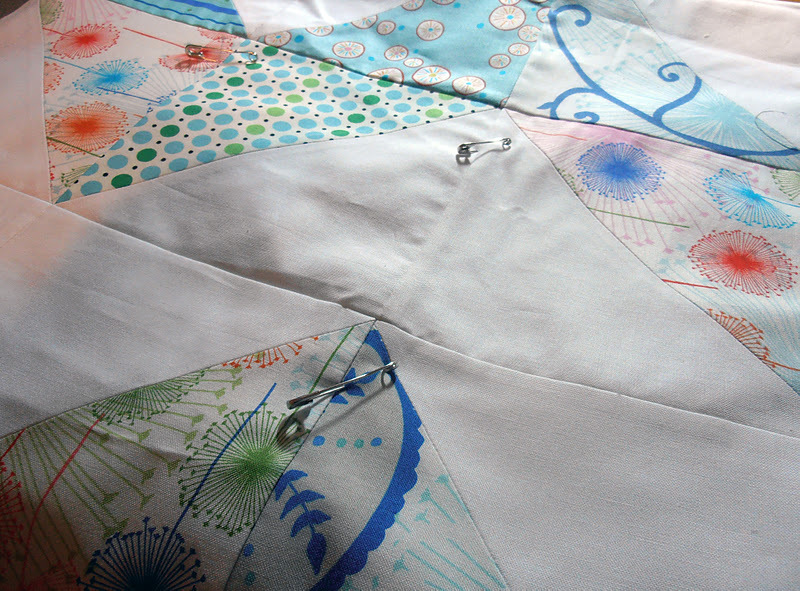 I am working with some wrenly fabric too. Isn't it pretty? I am still waiting on some--it's back ordered. Hey Debbie! Everything looks great so far!! I should have done a wii anyway just to keep track! haha whoops! Your pincushion is so cute! Is this a Debbie original? 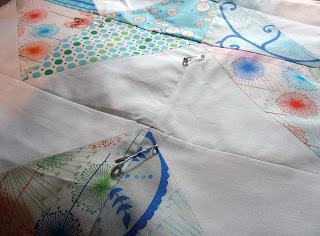 Excited to see that wrenly quilt too! Is it a zig zag? super cute debbie. i love that pincushion. i'm so glad you did a WIP Wednesday post, too. this is the time of year that i need organization more than ever. so, on your Christmas tree skirt, are you waiting to cut the slit and the hole for the tree until you finish the quilting? sounds like a genius idea to me! Everything is looking good! I hear you on the overwhelming list, I am right there with you!